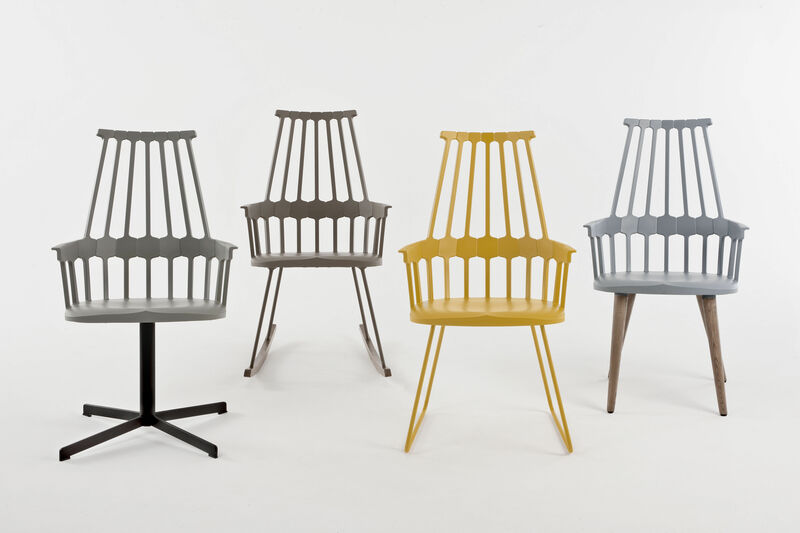 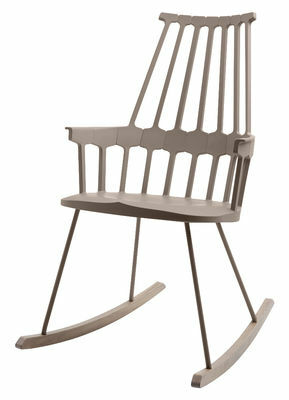 Kartell once again has fun in revisiting a great classic and giving a new look to the Windsor chair. 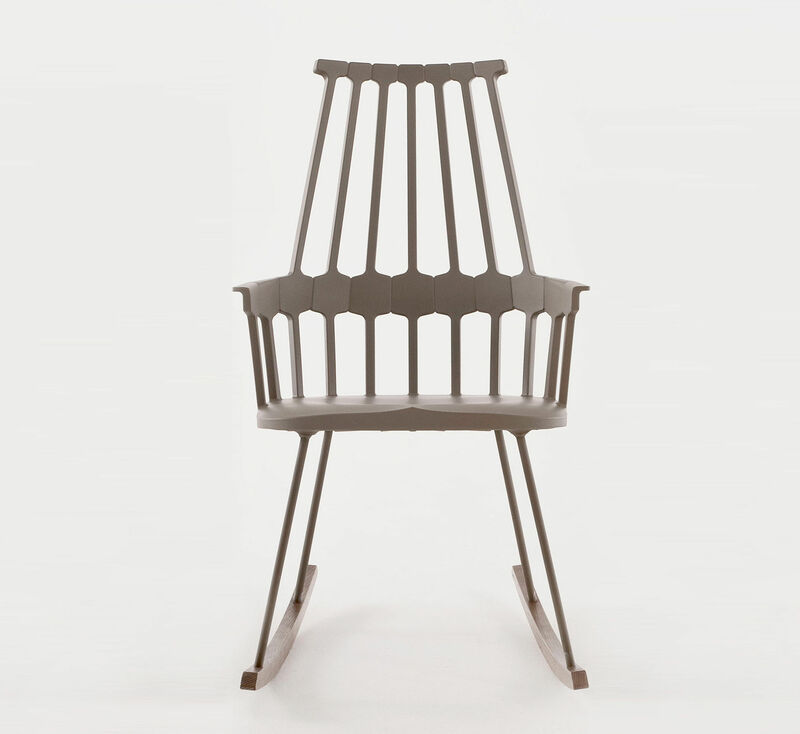 A return to the glorious past of England in the XVIII th century for a « Comb Back » version with a glossy structure featuring a backrest consisting of seven « teeth » which spread out towards the lumbar region where they meet a reinforced hexagonal rim with slim shafts radiating down to join the seat. A goodly size, this single mould chair embodies functionality and ergonomics well-freighted with sentiment and memories. 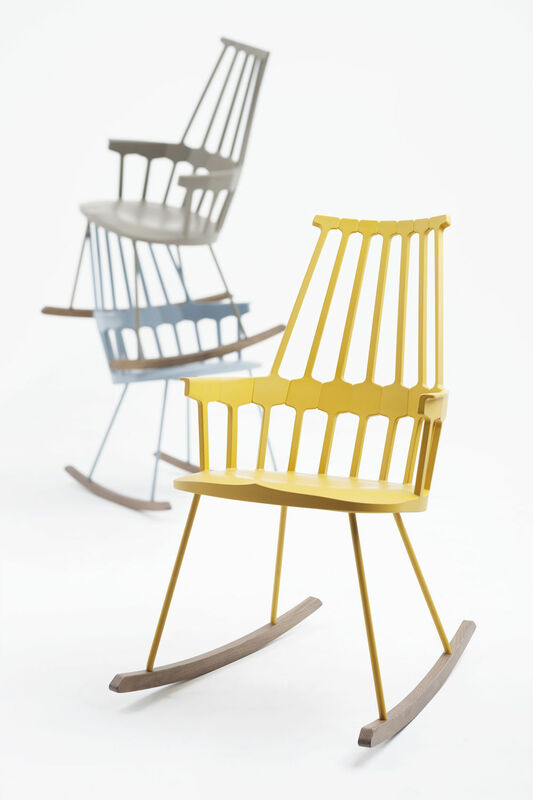 The use of plastic and the bright colours available give a touch of lightness and the contemporary to the Comback chair.